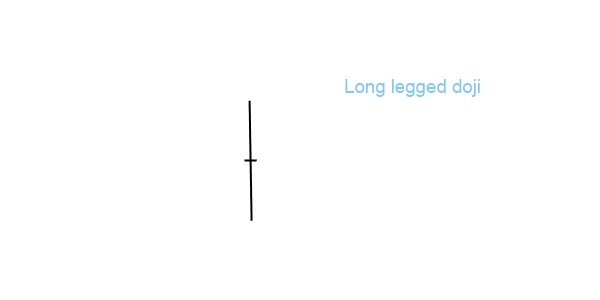 It is a Japanese candlestick pattern having a smaller body than wicks. It looks like a cross, inverted cross or a plus sign. 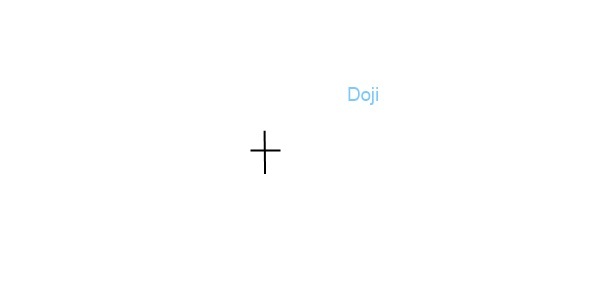 The word doji refers to both the singular and plural form. 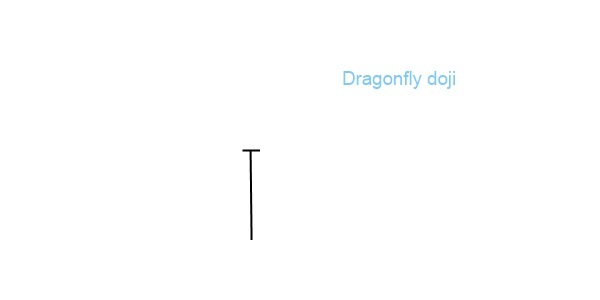 A doji reflects hesitation on the market. Prices move above and below the opening level during the session, but close at or near the opening level ending in a standoff. Neither bulls nor bears were able to surmount. It doesn’t mean a change in the prevailing trend in itself, alone, it is a neutral pattern but many times it is featured in a number of important patterns like: long legged -, dragonfly -, gravestone -, doji star, evening doji star, bullish doji star, morning doji star. It has very long shadows. Both of the upper and lower shadows are long and close in length and the body is lacking. This pattern forms when prices trade well above and below the day’s opening price but then close either exactly at or almost at the same level as the opening price. It is a bearish reversal candlestick pattern that mostly appears at the top of uptrends. It forms when the open, low, and close are the same or about the same price. 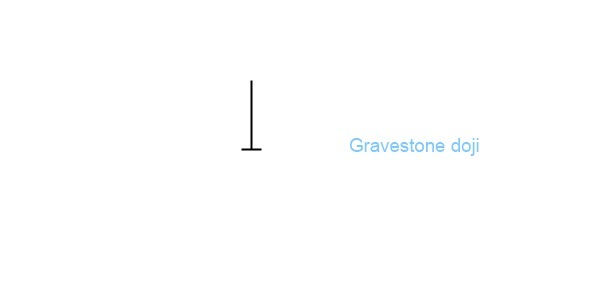 This formation has a long upper tail but no lower tail, thus it shows an upside-down capital letter T.
It is a bullish reversal candlestick pattern. A candle forms with a very small to almost nonexistent body with a long lower wick. The lower wick is at least twice as long as the candlestick body, there is little or no upper wick.